My exclusive Profit Accumulator discount code will save you a whopping £76! If you’re a regular reader, then you’ll know what a huge difference matched betting has made to our lives. I’m not being dramatic when I say that, it really did make the difference between us being able to pay the bills or letting the debts spiral out of control. I’ve used Profit Accumulator myself for a few years now to make risk-free guaranteed cash every month. Since I started, my Matched Betting earnings have ranged from around £300 per month, right up to over £1,000 per month. 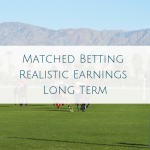 As well as being something I really enjoy doing, Matched Betting makes me a great additional income and it remains one of my favourite side hustles even years after first getting started. One of my favourite things about writing on My Money Cottage is helping other people to bring more money in. It’s the main reason I set this site up. 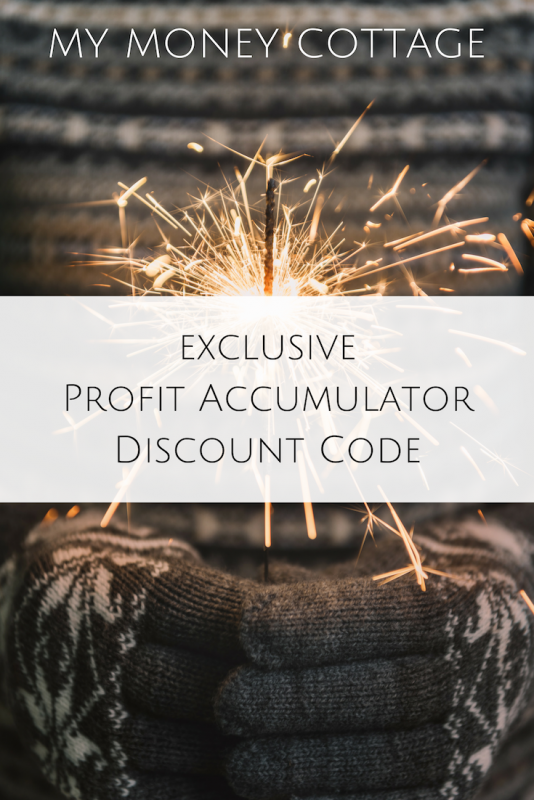 So, I’m really thrilled that I’m able to offer an exclusive Profit Accumulator Discount code to you. Normally, membership with Profit Accumulator would set you back £215.88 over the course of the year if you were to pay monthly. However, with my Profit Accumulator Discount code, you can get a full year’s access for just £140. That’s a HUGE saving of almost £76. 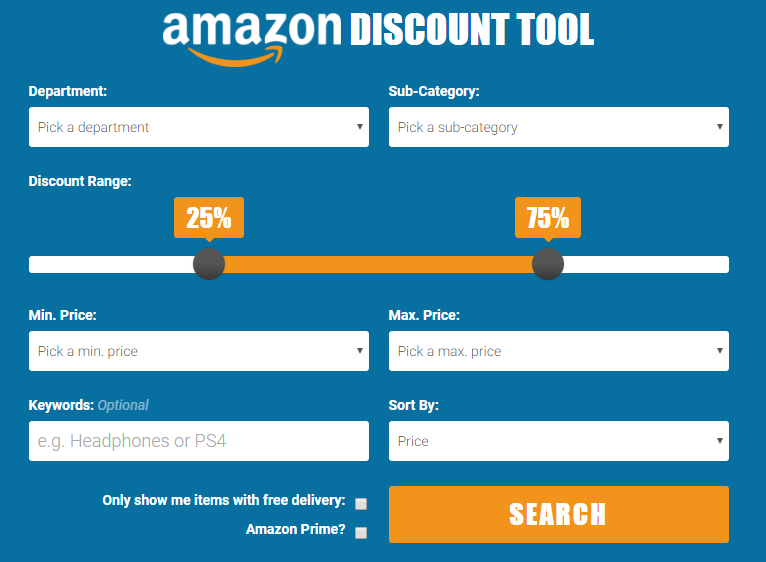 You can get the deal by clicking here and it will automatically be applied when you checkout. OK, so any discount code is great, but why should you bother signing up to Profit Accumulator in the first place? As a general rule, anything that guarantees to help us make money in return for a fee makes us feel edgy. I know that this was my main issue when I first started to read about Profit Accumulator. The thing is, with Matched Betting, there are dozens of free sites that promise to help you to make money. I’ve used them myself in the early days and wondered why I should bother signing up to a subscription service if all of the information is out there free of charge. The truth is though that it’s not. Yes, the free sites will help you to get started, but you will quickly find that they’re seriously lacking. You can’t keep up long-term profits using them. Every single offer is carefully explained in a logical order so that the instructions are really easy to follow. 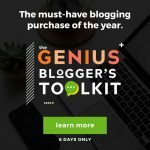 Most of the signup offers have video instructions too so you can watch and read over and over again until you’re 100% happy with what you need to do. 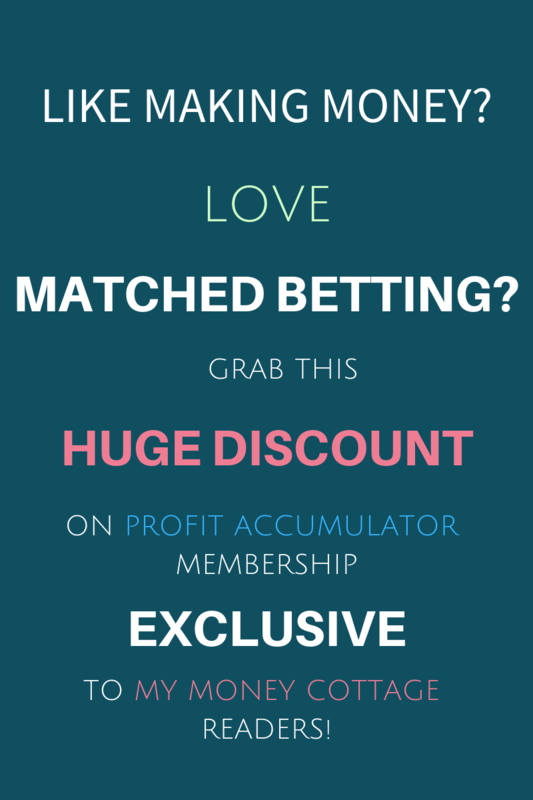 There are other matched betting companies out there, but Profit Accumulator is the only one I will ever recommend to you, and part of the reason for that is their incredible support system. The forum is full of amazingly supportive members who will jump in and help out when you’re stuck. But as well as that, Profit Accumulator have phone and email support where you can get your questions answered really quickly by a matched betting expert. 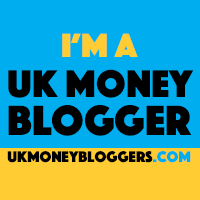 The forum is full of incredible tips to help you to make as much money as possible. Two of the best threads to follow are the “How to make £300 a month part time” and “How to make £1000 a month”. These are the places to keep checking for the risk-free profit offers. 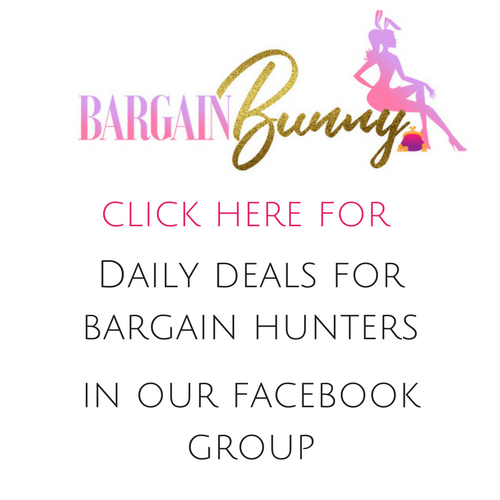 Offers are posted daily in the mornings and the evenings and all of the guaranteed profit offers are shared in these two threads. If you only have a small amount of time to dedicate to matched betting, then the £300 a month thread is the best place to head. 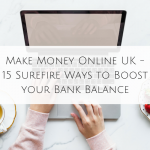 There are lots of ways you can make money online and I’ve shared lots of them over the last few years. But matched betting is up their with the most profitable. You can easily continue to make hundreds every month if you stick with Profit Accumulator. 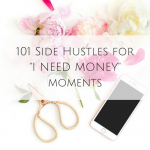 If you want to do matched betting as part of a bundle of side hustles, then the 30 day challenge is a great place to get some more indepth knowledge, and the Facebook group is full of lovely people all helping each other to make more money. really struggle to get my head around it all. Thank you for this. i have been looking into matched betting recently. Might give it a go.